One of most prestigious distance education university in India, SMU, has stopped admitting new students into it's various distance education courses till the approval of Distance Education Council (DEC) not get renewed. Recently the university published an important notice onto it's official website about the same. Read below the summary what university says about this on it's website. SMU had been granted an Approval by the Distance Education Council (DEC) vide letter F.No. DEC/Recog/2009/3947dated 15.10.2009, for its several Programs in different streams. As the Approval was granted for a period of THREE years and would come up for renewal on 15.10.2012, the University applied on 10.7.2012 itself for a renewal of the said Approval. The University is in constant touch with the Authorities to expedite the process of approval, which is expected to take place in due course, with the visit of an Expert Committee to the University before grant of renewal. The facts university mentioned in the notice it's pretty clear that university did its job on time but as the process takes time, the renewal is getting delayed. There is a good news for existing students. Students already admitted to the University before 15.10.2012, will continue in their respective Programs including re-registration for progression to further semesters, and completing their Programs successfully for award of Degree. It's to bring into your notice that SMU is not taking new admissions after 15.10.2012 until further notice. The university understand that many students are eagerly waiting for the admissions to reopen but it's helpless right now & can't do anything until the approval not get renewed. The university shows it's regret for the same in the notice. Please note to run any distance learning course, an approval of distance education council (DEC), New Delhi is mandatory & no university or private institution can take admission into any distance education course without such approval. DEC is responsible for the promotion and coordination of the open university and distance education system and for determination of its standards in India. The Council was constituted under the Indira Gandhi National Open University Act (1985). 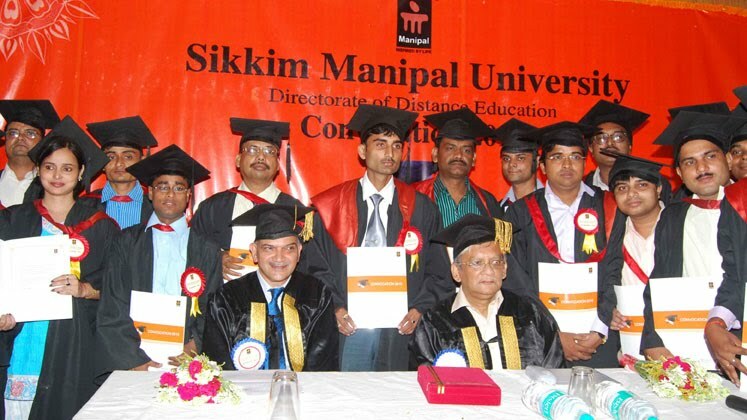 Sikkim Manipal University has won many awards for it's quality education & rank among top 5 universities in India. We hope the University will get the required approval renewed shortly.